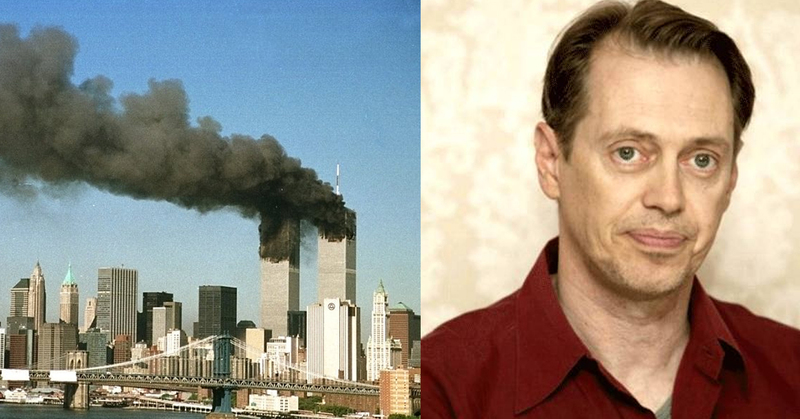 Tuesday September 11th, 2001, is a day that will, sadly, forever go down in history. One of the biggest, most devastating terrorist attacks this world has seen, in which nearly 3000 people lost there lives. Hundreds of these lives belonged to everyday heroes, people who sacrificed their own lives in aid to help strangers going through the most terrifying moment of their lives. 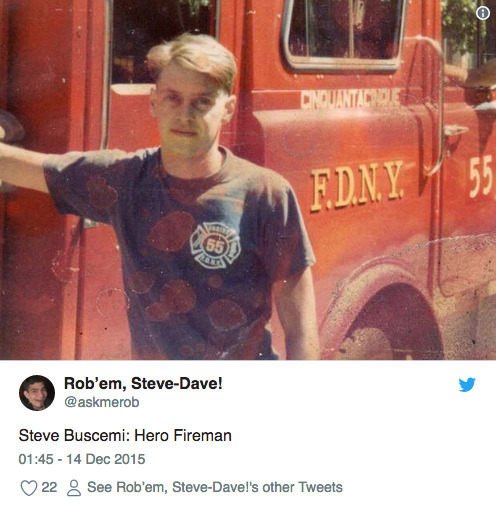 Amid these heroes was Steve Buscemi, who returned to his old fire station in order to work twelve-hour shifts alongside his other brother firefighters by searching for survivors in the rubble, and then some. 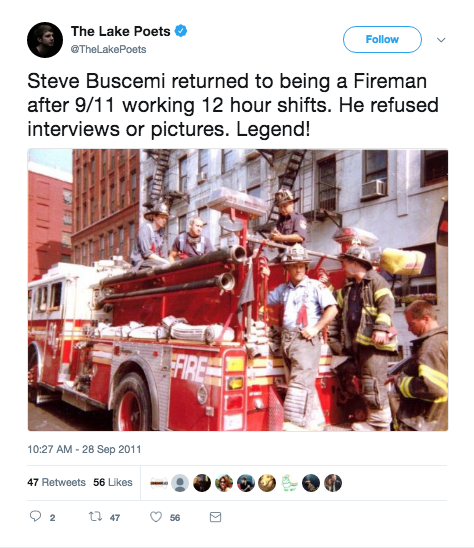 Despite it being very common knowledge now, this particular piece of information didn’t surface until September 2013, when a post on the Brotherhood of Fire Facebook page informed the world that Buscemi showed up on the scene to lend a hand when it was most definitely needed, Good reports. “In 1976 Steve Buscemi took the FDNY civil service test when he was just 18 years old. 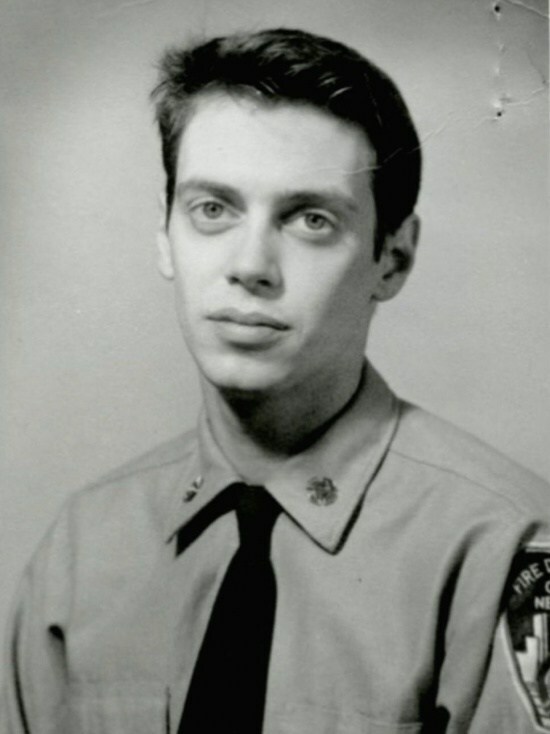 In 1980 Steve Buscemi became a New York City Firefighter. 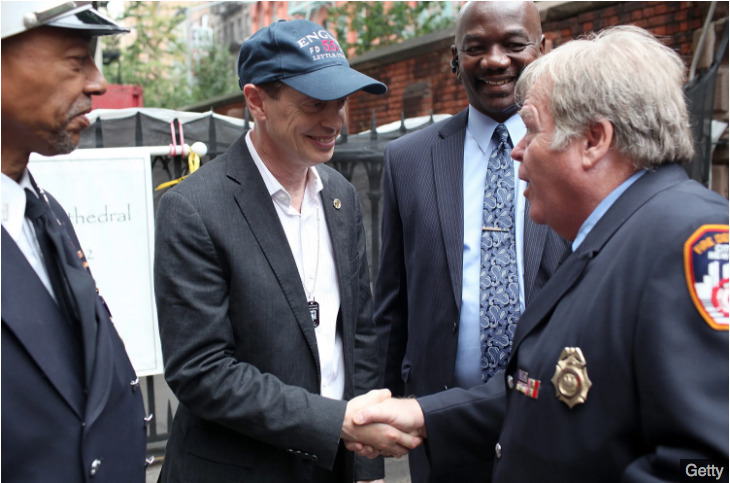 For four years, Buscemi served on one of FDNY’s busiest, Engine Co. 55 in Manhattan’s Little Italy. 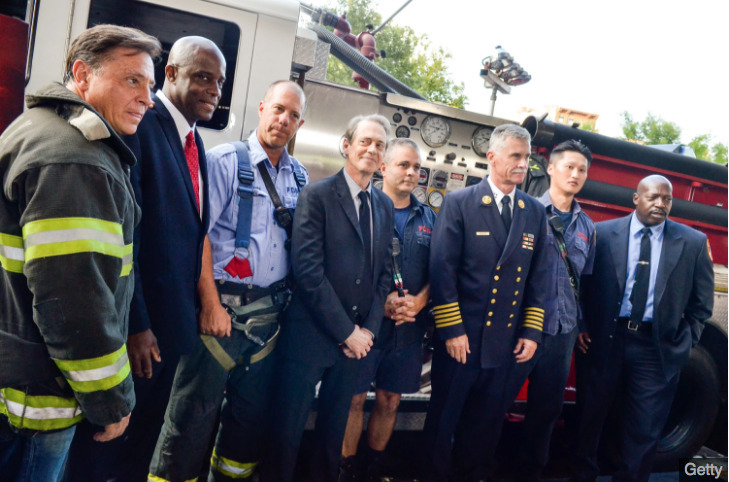 It was a privilege to be able to do it. 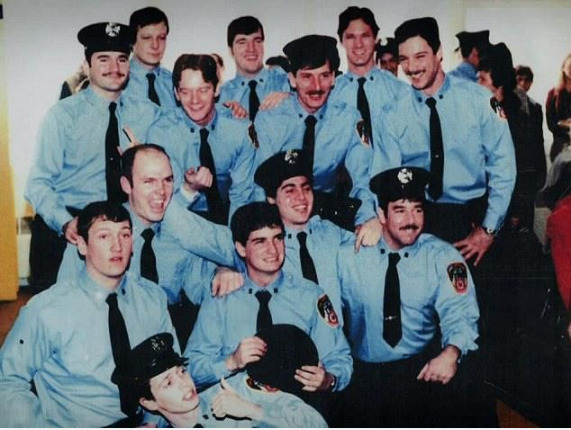 It was great to connect with the firehouse I used to work with and with some of the guys I worked alongside. And it was enormously helpful for me because while I was working, I didn’t really think about it as much, feel it as much. 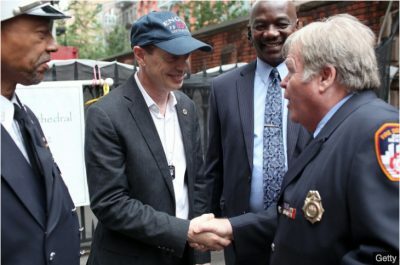 343 firefighters, who gave up their lives in order to protect and rescue the lives of strangers, were among the 2,977 victims who lost their lives that day. In times of struggle, it’s so important to remember that with every bad, no matter how big, comes the good – to remember all the inspirational stories of courage and the actions of people all around the world who showcase the very best in humanity – the selflessness and the compassion – even when facing the worst. 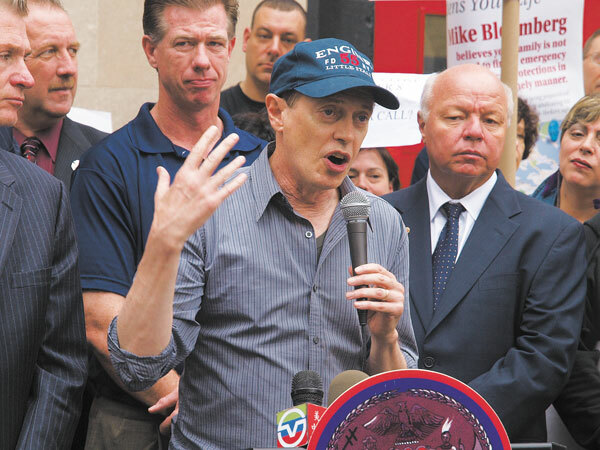 Steve Buscemi, who so many people will always be eternally thankful to, reminded us of that this day. Here’s to you, Steve! And the rest of the heroes of September 11th, 2001, 17 years on.